Born in Malaysia, Chef Ngan landed in Japan when he was 18 years old and spent 4 years there at school while also part-timing in various sushi restaurants where he developed his passion towards Japanese culinary traditions. Speaking fluent Japanese, he opened his own Japanese restaurant at Ipoh, Malaysia, allowing him to further pursue his career as a Japanese chef. In 2008, Chef Fei moved to Hong Kong and worked as head chefs in various Japanese restaurants. Chef Fei joined Gonpachi in August 2013. Under his leadership it has become one of HK’s most renowned izakaya restaurant, earning Michelin recommendation status throughout the years. 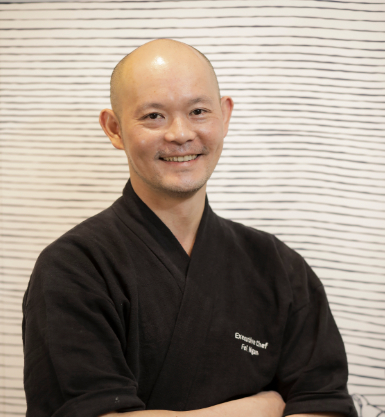 With the opening of Hokkaidon, he has been appointed as Executive Chef and will be in charge of various tasks including menu creation, ingredients sourcing as well as overseeing daily operation.